To take thing in perspective, we on Android Review Center say that we love our smartphones and mobile devices because of their functionality, and we do get a LOT of functionality from the huge amount and variation of apps on google play. There are apps for everything you've ever thought of and a lot of things your HAVEN"T thought of, but that's just part of the fun. The apps can be very broadly defined as apps that help the smartphone become a mobile office, apps for mobile communications, apps for entertainment and last but not least, security and safety apps. But, as much as our engineering instincts want to have everything labeled neatly, there are the special apps, the ones that cannot be so easily categorized, and sometimes these are the best apps of all. Meet Sweet Jar, an app by ByPost that does a special thing, connecting the real world with our world inside the smartphone. What does it do? Quite simply, the app blows life into jars of sweets on the smartphone's screen and makes them into real things. How does the app work? 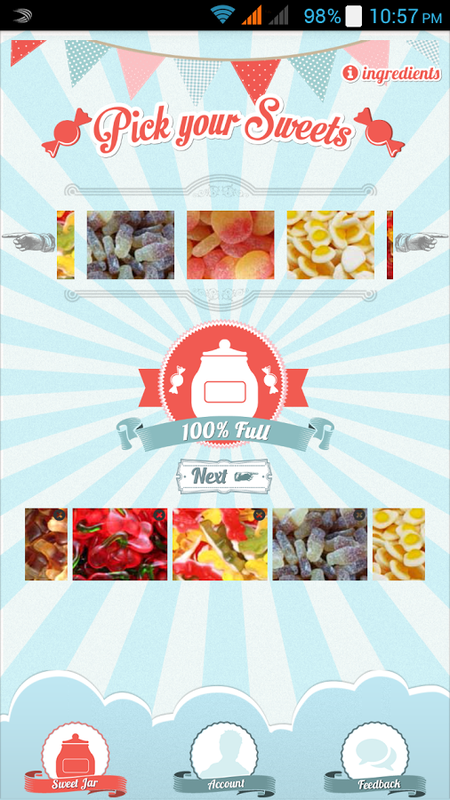 The user gets to select a jar and then he or she must fill it up with up to six variations of candy, from cola bottles to juicy lips, liquorice allsorts, gummy bears, fizzy vampire teeth and much more. Then, the user must pay real money (£6) and then the real jar with the selections of candy the user made appear on his or her doorstep in a few days. So, what did the reviewers had to say about the app? Our reviewers liked the app a lot, even those who don't usually consume that much candy. 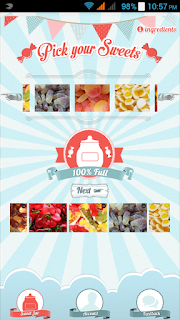 The screens and graphics are really colorful and visually appealing, making it a joy to just browse through the options and see all Sweet Jar has to offer. This also makes working with the app very simple and intuitive, with no chance of mistakes. Our reviewers also commented on the sheer variety of candy to select, citing hundreds of candy types, some mysterious and unknown but all intriguing with good pictures. Whatever candy type you like, our reviewers say you'll find it within Sweet Jar. Last but not least, our reviewers reported that there was no hitch in the payment and the real world jar deliverance. The jars arrived before schedule on almost all occasions and they were wrapped so well that no one broke or was otherwise damaged by its journey. AND, people got exactly what they ordered, which means the app does exactly what it is supposed to. Our reviewers sent in several tips and tricks. 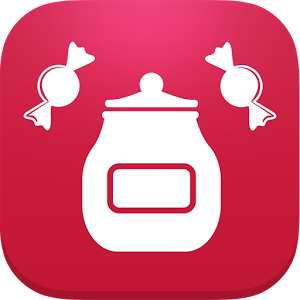 Now, reviewers commented that the candy jars made perfect presents to give when visiting or as prices, so the app is useful even if you DON'T like candy. 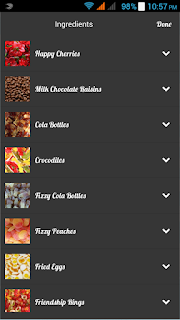 Another trick is to select less than six types of candy if you know and want a specific kind. Another tips is to be brave and select unknown types of candy. Live dangerously ... Some guys said that the jars make excellent gifts for the fair gender, even going so far to order the jars straight to the hotel room when going on vacation and making it wait there for the couple's arrival. This always got very positive reactions! The app doesn't use paypal, only credit and debit cards which make it a little safer for our money and the price in general is not high, so reviewers recommended ordering jars in advance and just keeping them at home for when candy will be needed for guests or kids. 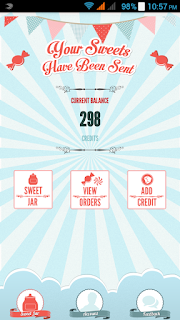 Sweet Jar is a great app, colorful and easy to use and the physical world component works really well. Score: 4.8. A beautiful app that works really well. 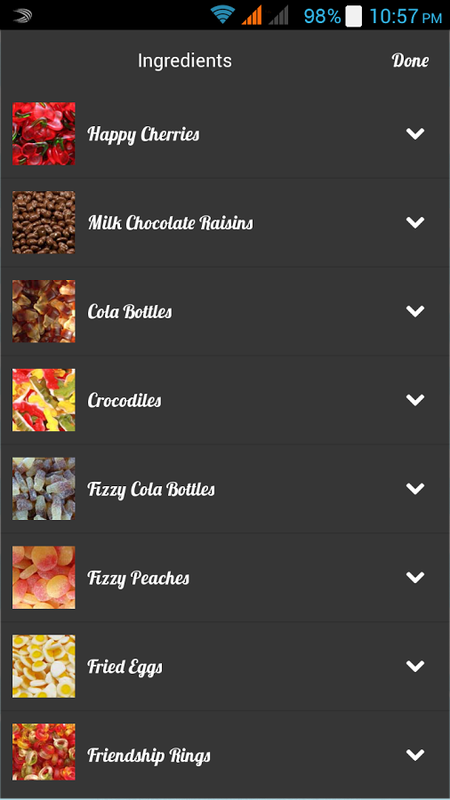 Description: A candy selection app, that delivers real candy jars according to your picks. Good Points: Nice design and graphics. Great concept. Good packaging for the jars to avoid mishaps. Huge variety of sweets to select. Bad Points: Perhaps making a future update where with things that are a little healthier, like crackers, dark chocolate, nuts etc. 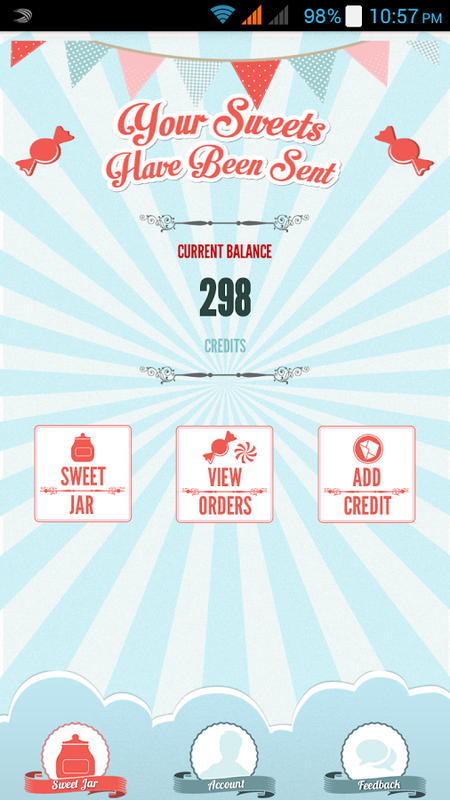 Longevity: Even for people who don't like sweets, this app and its sweet jars have quite a lot of uses.